Electric beds are an important component for any hospital. Fully functional adjustable beds that are reliable, sturdy and user friendly ensure that your patient is comfortable at all times. We are the leading electrical bed manufacturer, we ensure that our motorized beds take care of all the varied needs of your patients. Made from superior quality non corrosive material, our electric beds come with a number of patient friendly features such as the side rail control, the steer pedals, reverse positioning, angle indicator and more. Our beds come equipped with battery backup, so even in case of power failure, your patients will still be able to adjust the bed for optimal comfort. Safety features such as the automatic contouring protects the patients from slipping below towards the bed end. Also, zero gap feature ensure safe transfer of the patient. 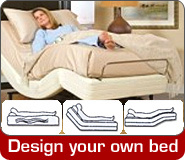 One click head board removal feature helps access the patient’s head in an instant. If you are looking for complete bed solutions that are durable, reliable and affordable, we are simply the best providers. With a vast variety of beds to meet the varied needs of a hospital, we can provide beds that perfectly fit your requirements.